As you may know, I really enjoy masks. Whether they are your traditional mud masks, or sheet masks, and all in between. I enjoy how relaxing they can be, and how beneficial they are in your skincare routine. This little review will be on Jor'el Parker- The Original Fango Mud Therapy. I received this in my October Topbox and I was excited to give it a try. 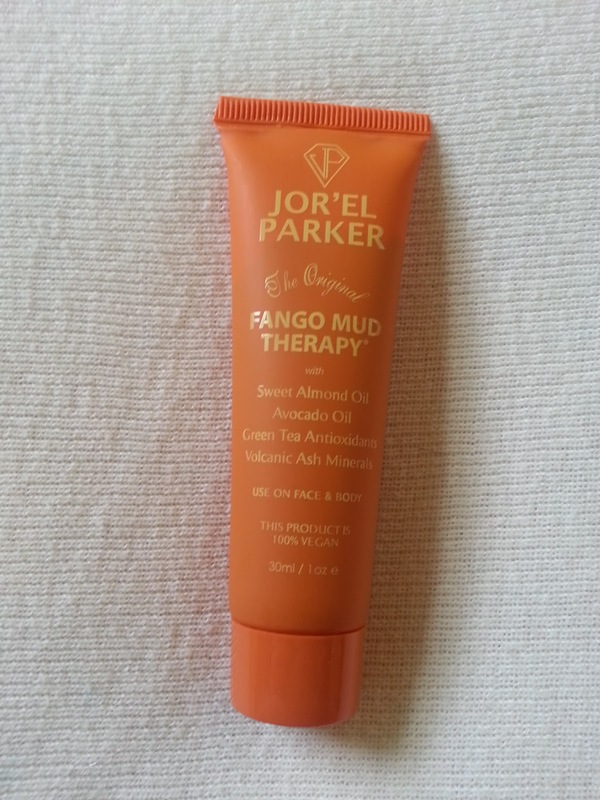 This mud therapy mask contains sweet almond oil, avocado oil, green tea antioxidants and volcanic ash minerals. Mostly great products for your skin, and it is 100% vegan. 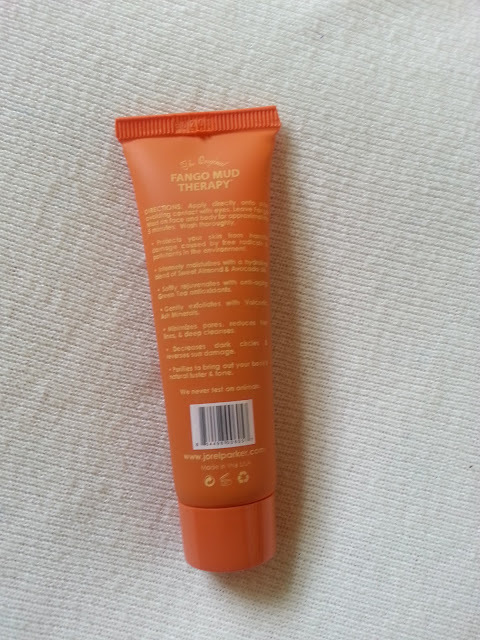 Directions: Apply directly onto skin avoiding contact with eyes. 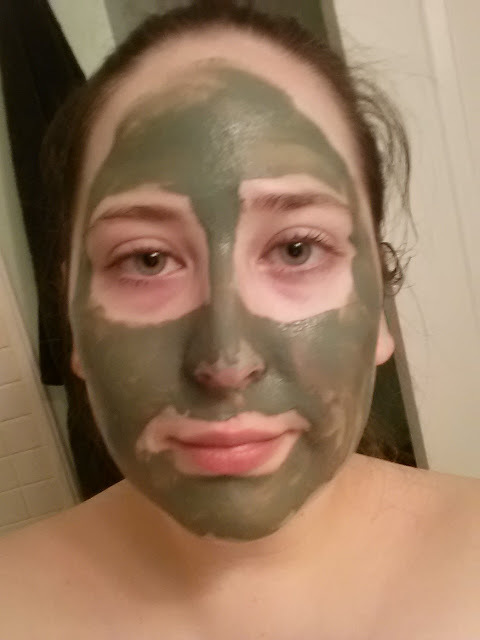 Leave Fango Mud on face and body for approximately 5 minutes. Wash thoroughly. So I washed my face, and applied it to my face. 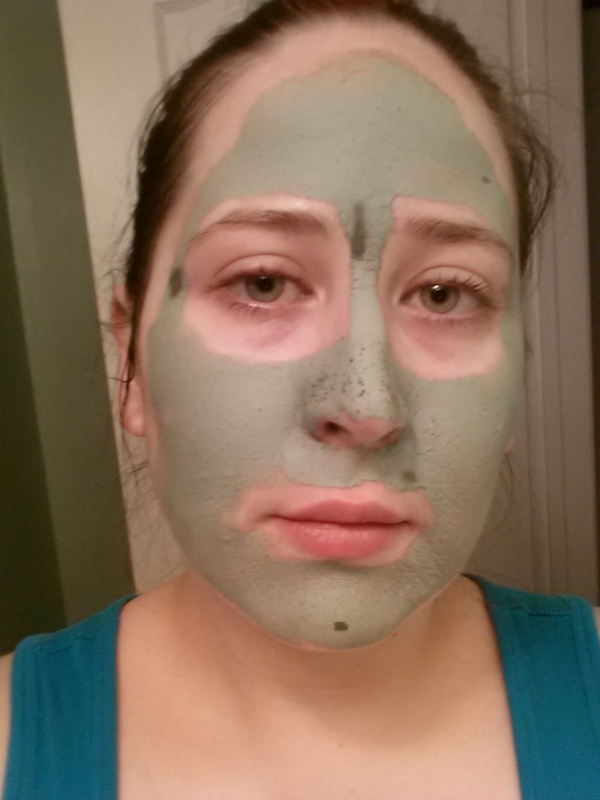 I noticed afterwards that you could use it on your body as well, but I've never tried a mud mask on my body. It was easy to apply. I left it on for about 10 minutes, because I wanted it to fully dry before washing it off. As you can see, there were four little small patches that never fully dried down, but the mask was feeling very tight at this point. It did draw out some of the oils in my nose pores. This was a nightmare to wash off. I've used it twice already and the first time I ended up wetting a wash cloth and taking it off that way, but the second time I wanted to see how long it would take to use just water. And it took long. I made sure to not use a thick layer of mask either. I also find it weird that the directions say to avoid contact with your eyes, but then it says that it will decrease dark circles? I avoid my eye area anyway when I do these types of masks, I just thought it was strange that it would say both of those things. It didn't burn my skin, or make it feel too dry afterwards, but my skin was left really red. It didn't feel hot to touch, and it didn't sting, so I'm not sure what in the formula would do that. Either way, my skin looked smooth and I will continue to use it until I finish it, however this isn't something I would rush out to buy once it is gone.